Available in 5 sizes, 125mm, 135mm, 150mm, 175mm and 200mm high. 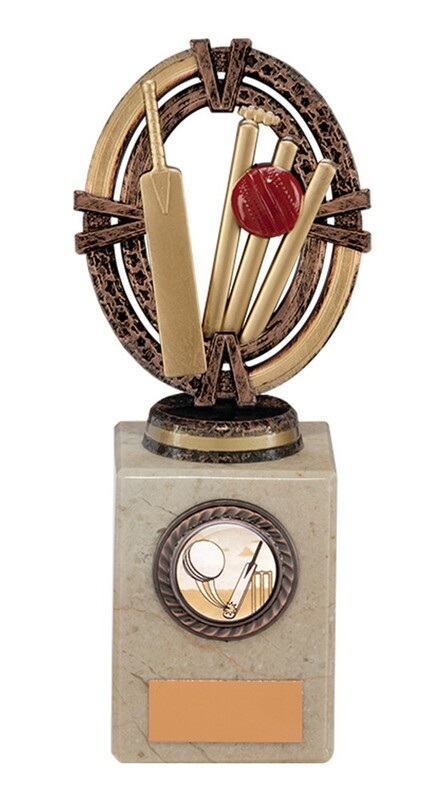 Antique gold with gold and red detail mounted onto a solid cream marble base. 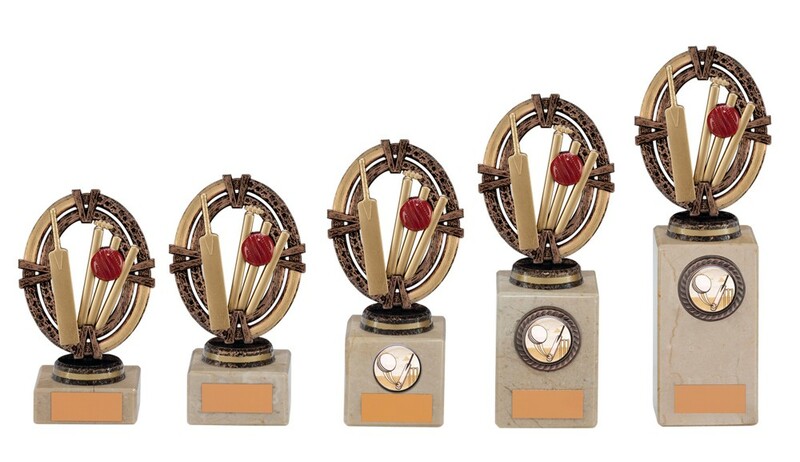 An extremely popular cricket award.